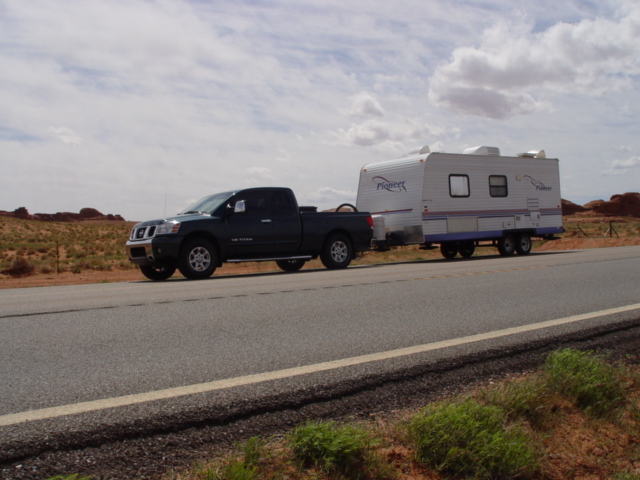 On September 11, 2007, we shall hook up our Titan LE pickup truck and our Pioneer travel trailer and head out from the Simi Valley. After several stops along the way, our ultimate destination will be Taos, New Mexico. On September 17, 18, 19, we will attend the Quantum Leap Celebration. For those who are unfamiliar with the event, you can find out all about this New Energy Conference at my future article. Sponsors of the event are Geoffrey and Linda Hoppe and their Crimson Circle Organization. You can read more about the organization at their website. Following is a summary of the event concept and timing. Tobias (as channeled by Geoffrey Hoppe) says that on September 18, 2007 humanity will experience a quantum leap in consciousness. We are planning to celebrate the event with the biggest Shaumbra gathering ever! Shaumbra Definition: "Shaumbra means family and deep inner friendship"
On September 18, 2007, Tobias says that everything will be moving at such a fast rate that consciousness will no longer follow the old linear path. Instead, there will be a quantum leap in consciousness potential. That “leap” allows for a new level of creativity, innovation, scientific discovery and personal transformation. He has said that nothing in particular may happen on that day, but everything after that date offers new potential for humanity. Of course, WE know that something will happen on that day. What else might you expect when over 500 Shaumbra from around the world get together?. The Quantum Leap Celebration will include dancing, music, channeling, group breathing, speakers, surprises and lots of fun! Although the event is already a “sell out”, we will provide daily updates for you on this site. After the celebration, we will be heading from Taos to Durango, Colorado and Moab, Utah. If we are lucky, there will be fall color to display for you here. Upon leaving Moab, around September 27, 2007, we will travel the Spanish Trail back to Los Angeles and our home in the Simi Valley. We hope that you will add your New Energy to our journey across the Four Corners area of the New Earth.